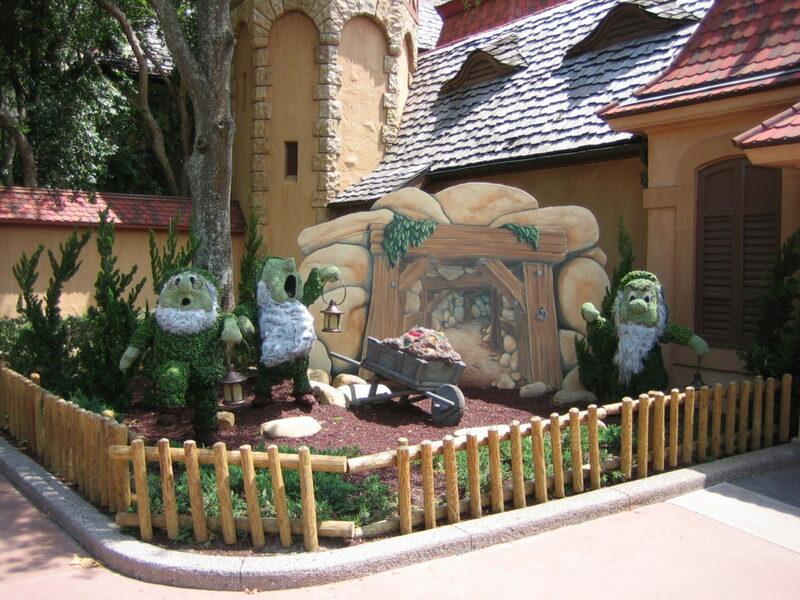 This year Disney has added three new Disney-themed topiaries to their festival display: Miss Piggy & Tour de Fleurs Garden, Goofy About Spring, and an extra-special Frozen-inspired Anna and Elsa arrangement. 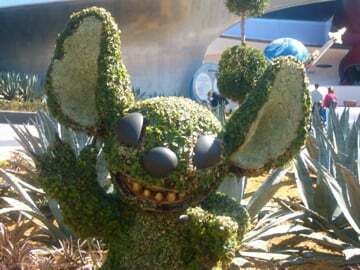 Other delightful topiary displays include Farmer Mickey & Minnie, Beauty and the Beast, Lady and the Tramp, Cinderella and Prince Charming, Lion King, Buzz LIghtyear, and so many more. Visit the Festival Center any time from 10 am until 5 pm and watch informative horticultural presentations provided by “Master Gardeners” from the Institute of Food and Agricultural Science at the University of Florida. Receive useful tips from the experts for all your gardening questions. Stroll through the World Showcase and enjoy a wide variety of tasty Spring-inspired foods and thirst-quenching beverages from around the world. Enjoy a Teriyaki curry bun at Hanami, a Macaron guimauve a la fraise at Fleur de Lys, a Honey Mango wine cooler at Lotus House, or Shrimp and Stone Ground Grits at Florida Fresh. New to the Outdoor Kitchens this year is the Latin-inspired “Batanas Botanica”, offering Seafood Ceviche, Cachapa con queso, Coconut tres leches, Polar Beer and sparkling wine. The Garden Rocks Concert Series is held every Friday, Saturday and Sunday at the American Gardens Theatre, with three show times to choose from: 5:30 pm, 6:45 pm and 8:00 pm. This year’s line-up of performers includes The Gin Blossoms, The Village People, John Secada, The Guess Who, Taylor Dane, Herman’s Hermits, Little River Band, The Orchestra, Starship, En Vogue, and Pablo Cruise. Most festival events are included with your Epcot theme park admission ticket. For more event information, concert details and to purchase tickets, go to: disneyworld.disney.go.com or call a Disney reservation specialist at (407) 939-5277 .